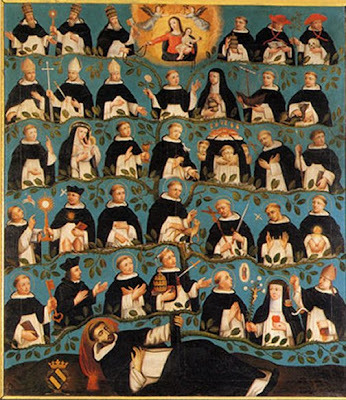 A happy 793rd birthday to all our Dominican brothers and sisters throughout the world! We're a wee bit busy here in this corner of the Order so our greetings, although late in the day, are no less heartfelt! Only 7 more years to go until the big 800th birthday celebration for the Order. As we continue to celebrate our novena of preparation we pray that our Father, St. Dominic, will give us a share for his love for God, for the Holy Preaching and for the souls entrusted to us. May our Lady, St. Mary Magdalene and St. Catharine of Alexandria continue to watch over us and guide us in the right way! He Is Coming! He Will Not Delay!